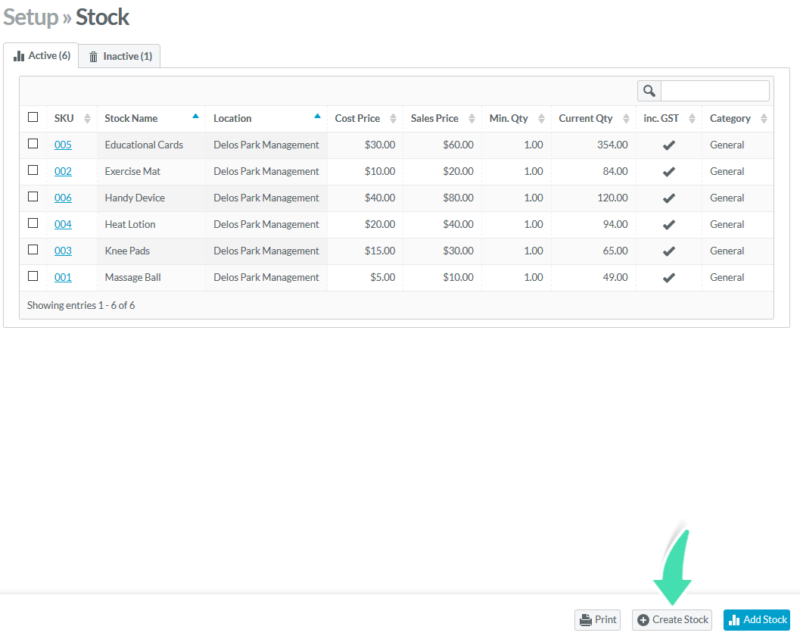 Nookal has a basic inventory tool allowing management of stock quantities and easy invoicing. Follow these simple steps below to add stock items to the Nookal Inventory. 2. Click Inventory below Setup. 4. Click Create Stock at the bottom right of the page. 5. 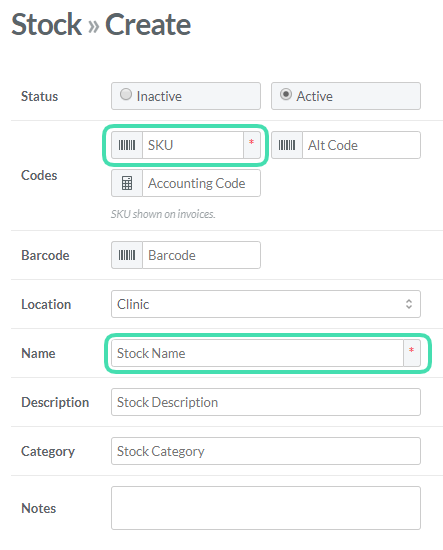 Enter the Stock Name and SKU code (stock keeping unit). 6. Select for which Location the item is available. Each item can only be set for a specific Location. if needed across more Location, the item will need to be duplicated. 7. 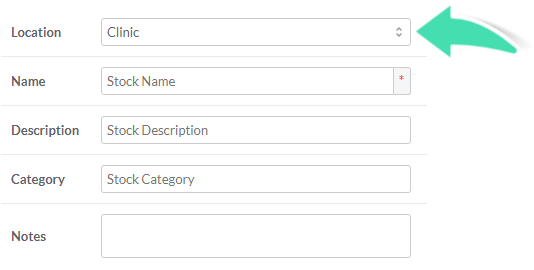 Select Yes for Billable to be able to add the stock item to invoices. 8. 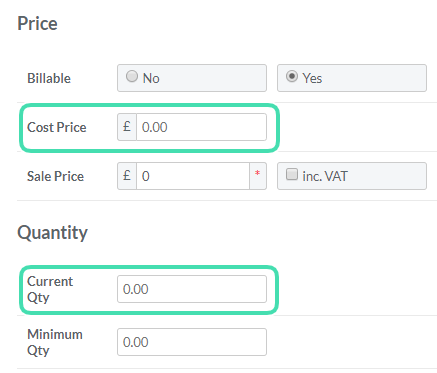 Add a Sale Price and tick the box if the price includes Sales Taxe. 9. 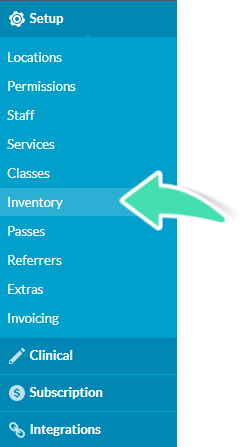 To use Inventory report tools, add a Cost Price and Current quantity so you can track profit and remaining quantities. 10. Click Save once all the necessary information has been entered. This item will then be displayed in the account Inventory list. Send us a Support Ticket if you need the same Stock Items to be added to other Locations.